The long-anticipated sequel Planes: Fire & Rescue opens in theaters today! Having heard from many parents that this will be their little one's first trip to the movies, I wanted to share some fun ways to make this important first a fun and memorable experience . . .
1. If your child has not seen the original Planes movie, then you will definitely want to buy, rent, or stream it for him or her before going to see the sequel. This will give your child a chance to get to know Dusty and the other characters, as well as understand what experiences have brought Dusty to this next point in his life. If your child has already experienced the first film, they are likely anxious to watch it again before seeing the second movie, like all three of my children are. 2. Dress your child for the occasion! 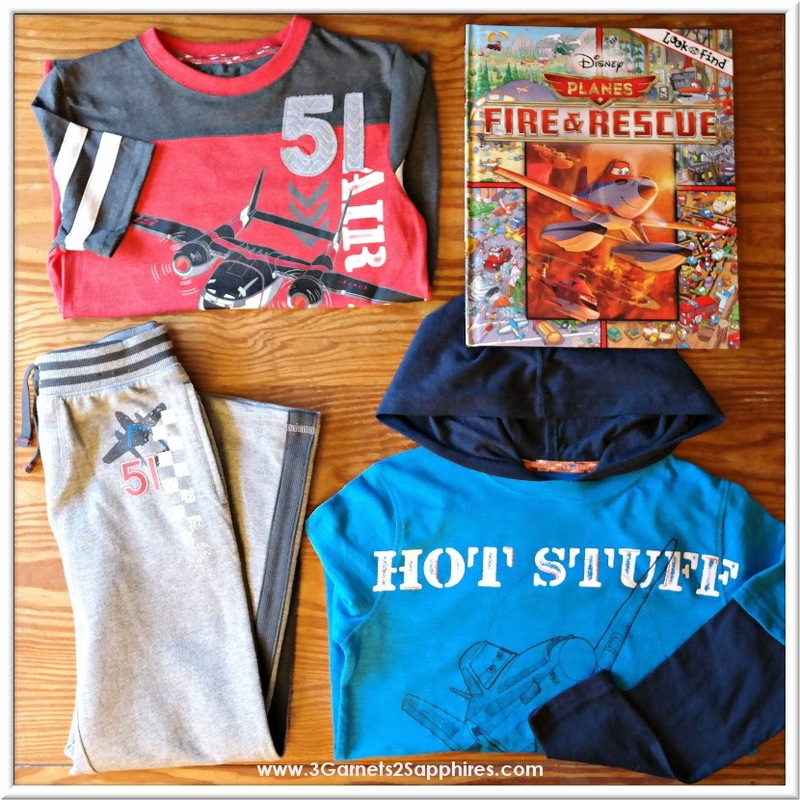 The Kohl's Disney Jumping Beans line has expanded its Fire & Rescue collection quite a bit since it's unveiling last month. The collection includes tees, shorts, long sleeve knits, fleece active pants, hoodies, and some exclusive limited edition styles, as well. While shopping for the perfect outfit to wear for the movie, whether online or at your local Kohl's department store, take this opportunity to pick up some of these playground-friendly mix-and-match pieces for back-to-school! When I took our 7 year old son to shop for his movie outfit, he had such a difficult time deciding. In fact, he just started picking up one of everything! When it comes to the styles, colors, and graphics for this line, Jumping Beans really hit the nail on the head as far as knowing what boys his age really like. Offer valid for one-time use 7/18/14-7/26/14. In store only. 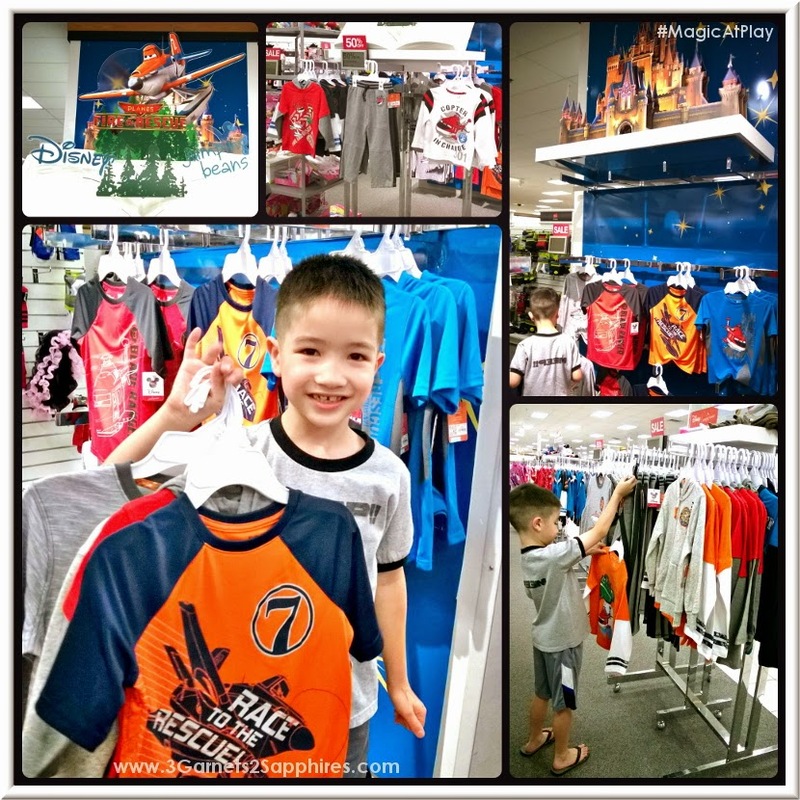 One Kids apparel merchandise coupon per customer. $10 offer valid on a minimum $25 pre-tax purchase of Kids apparel merchandise. Dollar-off discounts applied prior to percent-off total purchase discounts. Offer cannot be redeemed for cash. No cash back. Offer not valid for price adjustments on prior purchases. Excludes sales tax. Photocopies or duplicates not accepted. Return value of merchandise purchased with $10 coupon will be subject to adjustment. See store for additional terms and details. 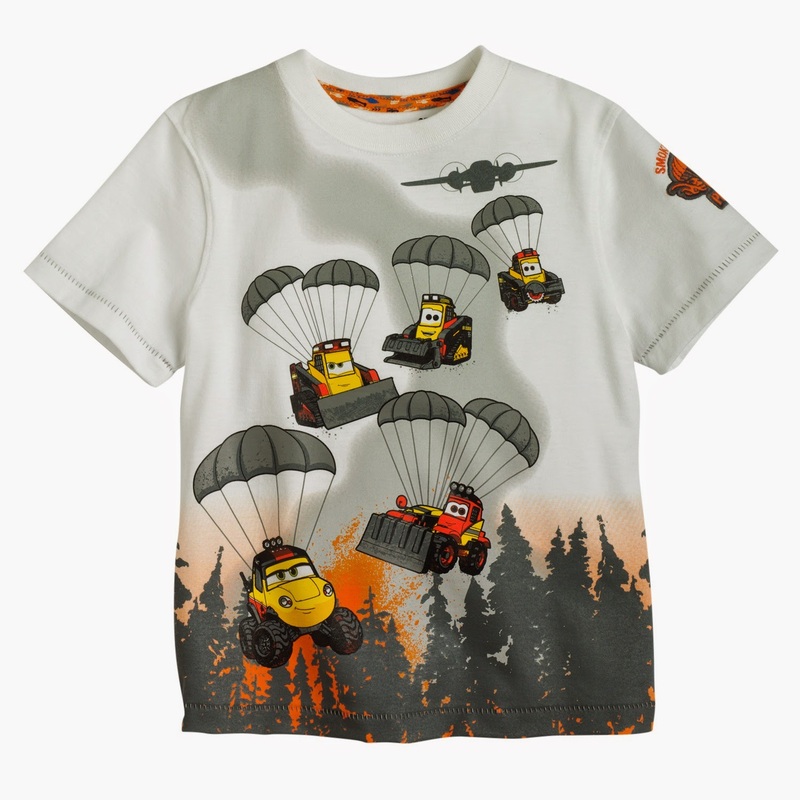 Go to http://oak.ctx.ly/r/1d462 for more details on the promotion and http://oak.ctx.ly/r/1d45x for more information on Planes Fire + Rescue apparel. 3. Pick up a Planes: Fire & Rescue storybook or activity book to help build the excitement for your child until the big movie day arrives. This will also give your child a chance to become familiar with some of the new characters introduced in this film. It also is a perfect excuse to encourage your child to read by offering him or her a new book about a topic you already know they find to be fun and engaging. Step 2. Carefully cover the size information at the bottom of the tag with a piece of washi tape (see image above). Be sure to position the tape so that it is parallel with the bottom of the tag. Then flip the tag over and do the same thing on the second side. 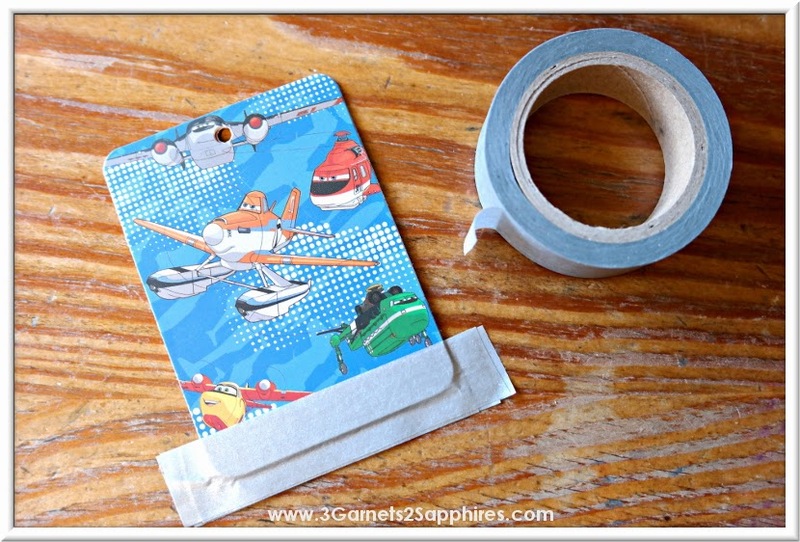 TIP #1: If your washi tape is thin and you can still see the size information through the tape, then simply add a second layer of tape on both sides. Step 3. 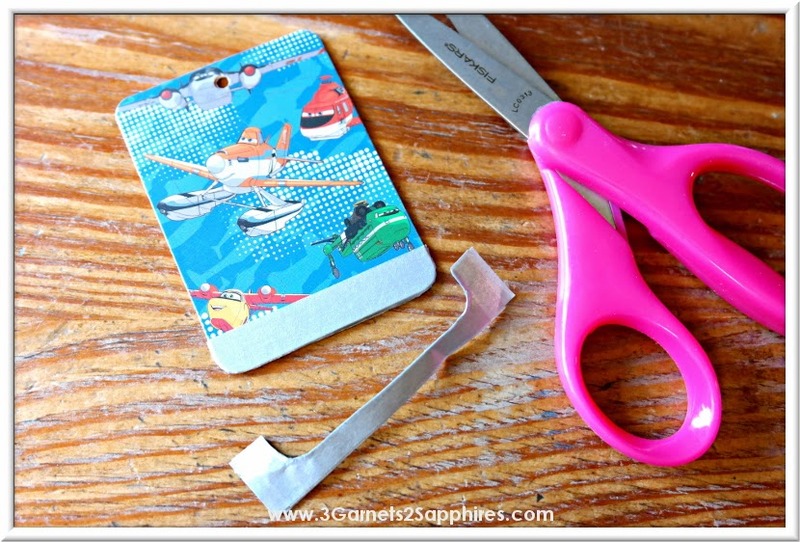 Using scissors, carefully trim off the excess tape, following the shape of the tag. Step 4. Fold a piece of ribbon or yarn (approximately 8 to 10 inches in length) in half and feed it through the hole at the top of the bookmark. Then bring the two cut ends through the loop you've formed and pull tight to secure. Trim the ends with scissors to make them even. 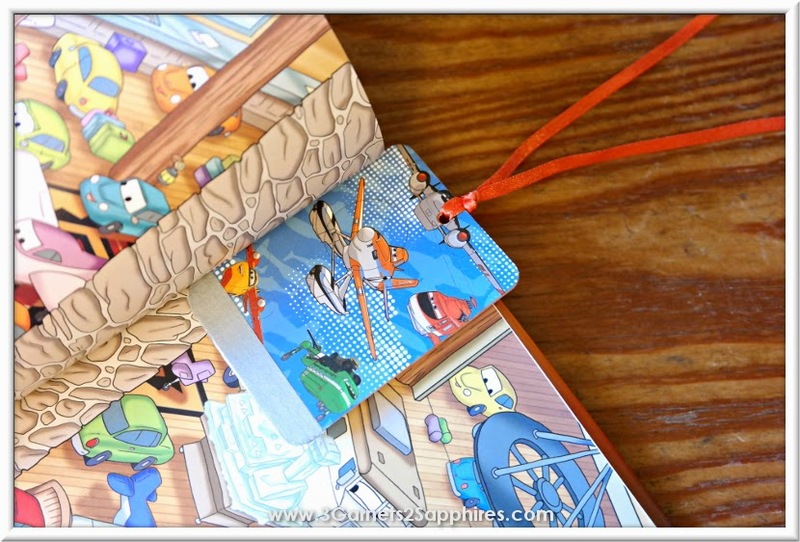 TIP #2: For added security, I tied an additional knot right on top of the bookmark. Step 5. 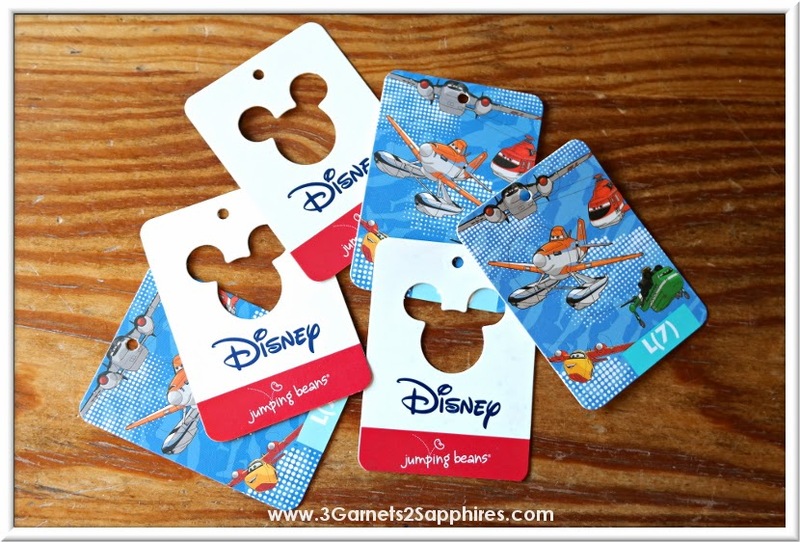 To make bookmarks out of your cutout Mickey tags, simply follow the instructions in Step #4. 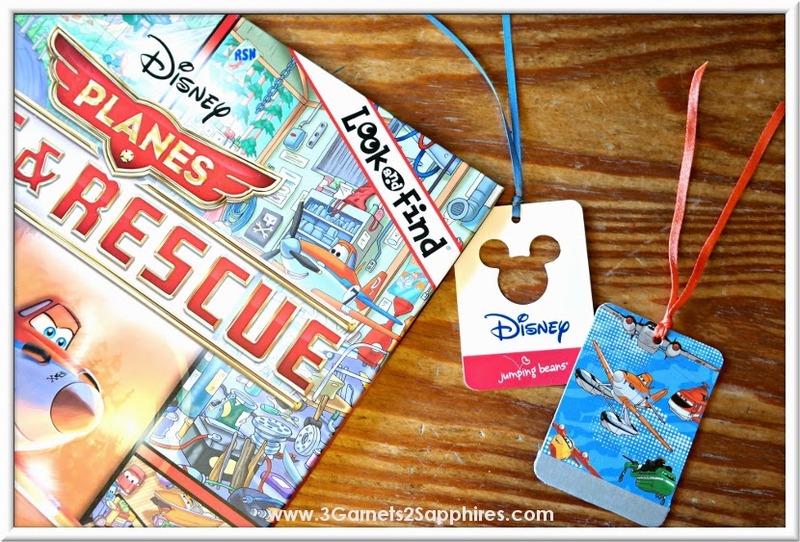 If you have an odd number of tags, meaning one cutout Mickey tag and one Planes tag, you can still make a great bookmark. Simply color the orange side of the Planes tag black with a permanent marker or cover the majority of it by gluing black construction paper to it. 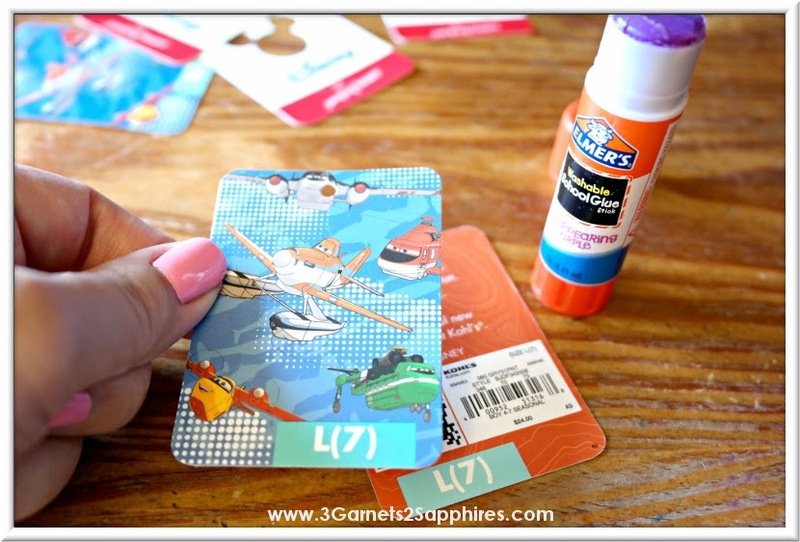 Then apply glue to the black side of the cutout Mickey tag and glue it to the once-orange side of the Planes tag. Again, be sure to line up the holes before pressing the two sides together. Then you can pick up the instructions at Step #2. 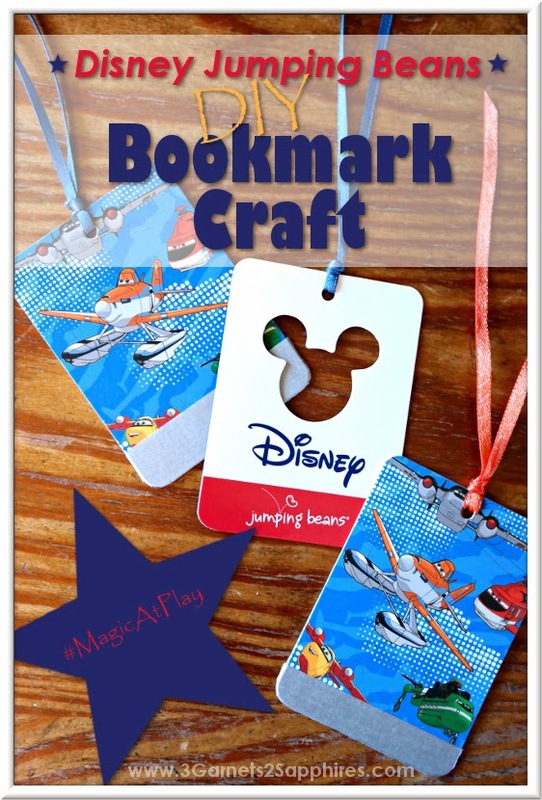 When you're done, you should have a fun bookmark with a Planes theme on one side and a Mickey silhouette on the other! If you like this easy craft, be sure to Pin It for later . . .